How much space can one wireless access point cover? Before performing a wireless LAN site survey, this is an important question to understand. However, the most overlooked and forgotten component of a wireless site survey is the coverage versus capacity challenge. An enterprise grade wireless LAN access point can cover 5,000 to 10,000 square feet of space. The variables to coverage are the power settings, antenna gain, and the physical environment. 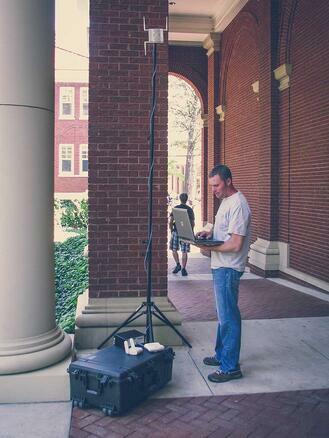 The newer systems built for the healthcare and education markets will auto adjust power and gain for optimal coverage. But wireless planning isn’t as simple as drawing circles on a floor plan. So what if my medical clinic or campus building is only 20,000 square feet? Does this mean that all I need to cover my facility is two access points? The answer of how many access points to deploy depends on how many wireless clients will be accessing the wireless LAN simultaneously (system capacity) and in which places in the building (access point capacity). Wireless clients are defined as any wireless device that would be attaching to the WLAN and accessing resources from the network. 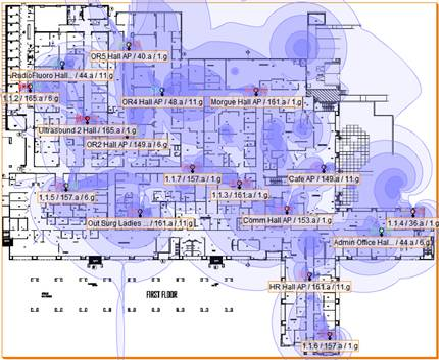 Look at your facility layout, and consider which areas will be hotspots for wireless users. For example, wireless in hospitals will have nursing stations where users will congregate and be carrying wireless VoIP phones, badges, and tablet PC’s. School campuses where there are large classrooms, auditoriums, and lecture halls. These environments have in common the potential to contain large numbers of WLAN clients. Now you'll need to determine which access points have the potential to be over utilized. 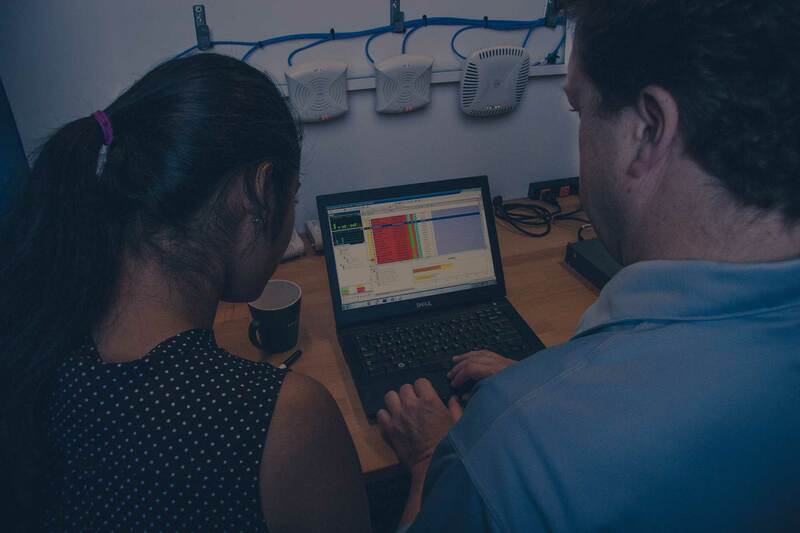 Combine this formula with a wireless LAN solution with the system capacity to handle the number of clients in your plan and you’ve got a good starting point for a successful wireless network deployment.